There are a lot of interesting and exciting things to do in Marco Island for families as well as all types of adventure seekers. You have the opportunity to watch dolphins in their natural habitat as you explore the mangrove forests of the Ten Thousand Islands which includes Cape Romano where you can go shelling on a pristine barrier island. While you are in Marco Island you can walk through a history museum and learn about the Calusa Indians as well as spend the day at a spectacular beach park or just relax on a sunset cruise. 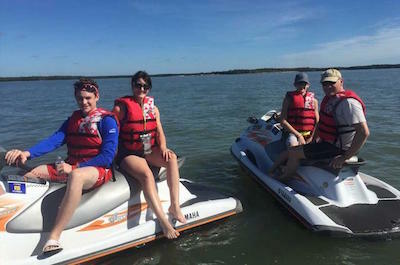 Other options include scuba diving, fishing, kayaking or standup paddleboarding and you can even raise your adrenaline while navigating a jet ski on the Gulf of Mexico. There is plenty of interesting marine and bird life to see when you take one of these fascinating tours which is sure to leave lasting memories. A perfect thing to do in Marco Island for families and small groups that want to watch dolphins as well as go shelling is to try a Cape Romano Shelling and Sightseeing Boat Tour from Marco Island. Your 2-hour journey through the Gulf of Mexico and 10,000 Islands area begins when you board your boat at Caxambass Park Marina. During your excursion on the gulf you will watch dolphins and hundreds of birds in their natural habitat while your naturalist guide explains all the interesting items from marine life to mangrove forests. 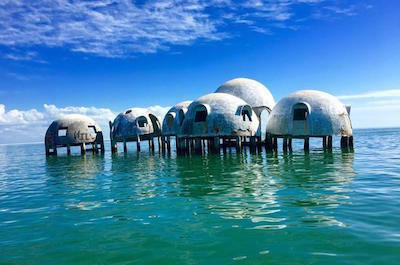 You will also get a chance to see the historic Cape Romano Dome House and stop on Cape Romano for a stroll on the beach where you can go shelling. You will need to bring your own beverages to stay hydrated on this journey and don’t forget your camera. Your pleasant day on the water ends back at the Caxambass Park Marina. 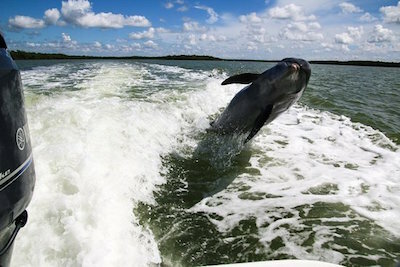 An exciting thing to do in Marco Island for all nature lovers is to take the Marco Island Dolphin Watching Tour. This is a great experience for families who want to get out on the water and view the incredible natural scenery of the 10,000 Islands Wildlife Refuge. During your 2-hour cruise that begins at the Caxambass Park Marina you will have the opportunity to view manatees, dolphins and more than 100 species of birds while you go through the dense mangrove forests and around hundreds of barrier islands. Your onboard guide is a knowledgeable naturalist who will inform you of all the fascinating items you will see from wildlife to the beautiful scenery of South Florida. While you are on board there is complimentary water but you can bring your own lunch and don’t forget your camera. Your fun adventure concludes when you dock back at the Caxambass Park Marina. If you are seeking to find a perfect journey through the mangroves and barrier island of South Florida then a great thing to do in Marco Island is to take a Ten Thousand Islands Adventure Boat Tour. Your 3-hour excursion begins at the Caxambass Park Marina where you will meet your experienced captain and board a custom built Carolina Skiff. From here you will setoff cruising to Everglades National Park and the Ten Thousand Islands Wildlife Refuge where you will float through the mangroves viewing incredible bird and marine life. While you are there your guide will inform you of all the intriguing items that make the South Florida eco-system so special. 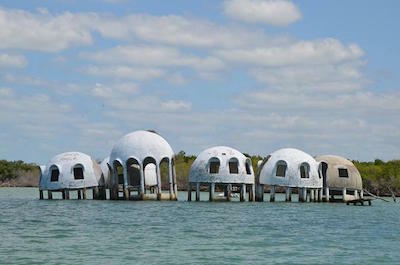 During your time on the boat you will also stop at the historical Cape Romano Dome House to watch more dolphins. An added bonus on this adventure is a stop at a remote barrier island where you will have the opportunity to go shelling, swimming and snorkeling gear is provided for you to use. You can also bring a picnic with your favorite beverages to enjoy on the beach or onboard the skiff. Your excellent day of cruising on the Gulf of Mexico concludes back at the Caxambass Park Marina. 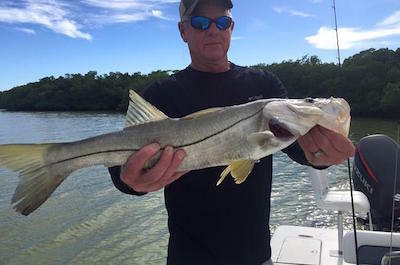 We know you have dreamed of catching a trophy fish while on vacation and a perfect thing to do in Marco Island is to try the Marco Island Inshore Fishing Charter. You have the option of several departures throughout the day as well as the number of hours you want to go fishing. Once you arrive at the Goodland Boating Park you will board a 22’ state-of-the-art boat designed specifically for fishing which is loaded with all the gear you will need for your adventure. Your expert captain knows where the fish are by using his knowledge of the area making this excursion ideal for everyone from families to friends to couples. You will experience fishing in the 10,000 Islands which includes dropping your line in the water off of barrier islands and inland rivers. An added bonus on this journey is that you can see dolphins while you are cruising to your designated fishing area and any legal catch can be packaged for you at the end of your adventure. There is only bottled offered on this excursion but you can load the onboard cooler with your favorite food and beverages. A great thing to do in Marco Island for anyone who is interested in viewing the superb mangroves and marine life of the Rookery Bay Reserve is to book a Ten Thousand Island Jet Ski Eco-Tour. Once you arrive at Caxambas Marina on the southern end of Marco Island, you will meet your expert guide who will inform throughout your 2-hour excursion of all the intriguing marine and wild life you will spot. From here you will set out on your 30-mile adventure on a jet ski that can hold up to two people which is ideal for families with children. Along your way you will watch dolphins, manatees and possibly an American alligator as you navigate through the dense mangrove forests. This excursion is a superb way to learn more about the natural environment of South Florida and you will even get a chance to raise your adrenaline when you throttle up while cruising on the Gulf of Mexico. If you are searching for an exciting way to watch some dolphins play and view more of the natural environment, then a great thing to do in Marco Island is to take the Rookery Bay Reserve Kayak Ecotour in Naples. You will be thrilled on your 2-hour excursion that leaves several times throughout the day from the Isles of Capri Paddle Park. Once you are outfitted with a single or tandem kayak you will start to paddle through the incredible mangroves of Rookery Bay which is home to 10,000 islands. While you are paddling you will have the opportunity to view manatees, dolphins and more than 150 species of birds. Don’t worry your expert guide will advise you of all the interesting wonder of nature you will view on your paddling excursion. 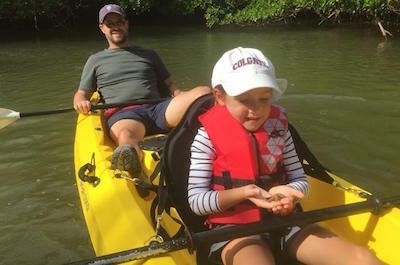 Whether you are a beginner or expert kayaker this is a perfect way to learn more about South Florida’s intriguing eco-system. 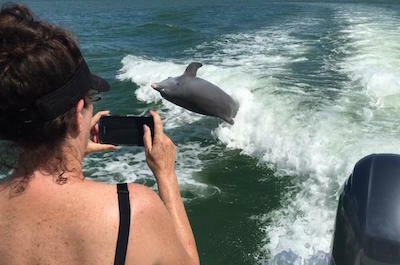 One of the best things to do in Marco Island for all types of travelers including families that are looking for a guaranteed time to watch dolphins play in the Gulf of Mexico is to book a tour with Dreamlander Tours. You will be pleased with the variety of excursions that Dreamlander Tours offers and their superior service as well as knowledge of the area will add value to your excursion. Selections range from a 2 to 3-hour shelling and dolphin watching boat ride on the gulf to a spectacular 2-hour sunset cruise where you can watch the dolphins play in their natural habitat as the sky turns into a canvass of pastel colors. Other options include back water fishing with a knowledgeable fishing guide and there are plenty of watersport choices that range from wake boarding to water skiing to tubing. If you have a group Dreamlander tours is perfect for you with private tours and full boat rentals available. One of the last undeveloped barrier islands along the Florida coast is Keewaydin Island and is a great place to spend the day with your family while relaxing on a section of white sand beach. Located north of Marco Island within the Rookery Bay National Estuarine Research Reserve, Keewaydin Island is only accessible by boat and there are no roads, bridges or cars on the island. The Keewaydin Island is 85% public land and there are a few homes that dot the western shoreline of the island. The island is a perfect place to visit for families looking to go shelling, relax on soft white sand and the swimming conditions are perfect. There are numerous portions of the beach that are home to nesting Loggerhead turtles which are monitored by local conservation groups. Facilities on the island are limited and are usually supplied by one of the residents on the island or a local vendor. If you don’t want to rent a boat to travel to Keewaydin Island then the best option is to make the trip on the Hemigway Water Shuttle for a nominal cost. If your family enjoys learning about Southwest Florida’s Indian Tribes then an ideal thing to do in Marco Island is to visit the Marco Island Historical Museum. Located in the south central portion of the island, the Marco Island Historical Museum concentrates on telling the story of the Calusa Indians that inhabited this area of southern Florida as well as the development of Marco Island. 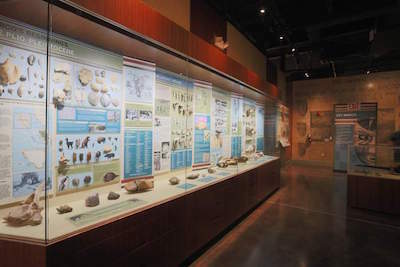 Through a series of exhibits the Marco Island Historical Museum explains one of the most important archaeological finds in North America which is the Key Marco Cat. The museum uses a recreated Calusa village to enhance the learning experience for your family. You can view numerous other exhibits on the development of Marco Island which grew from a small fishing village to a pineapple plantation to a clam cannery before experience the massive growth that started to take place in the 1960s. Other temporary exhibits are on display at the museum that range from photography to paintings to explaining the local eco-system. When you want to spend a day at a family friendly beach that has plenty to offer then you should stop at South Marco Beach. Located in Collier County along the western shoreline of the island, South Marco Beach brings a relaxed atmosphere to families with wide stretches of sand and plenty of warm gulf water. 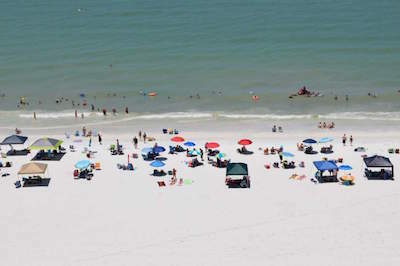 Once at South Marco Beach you can enjoy beach access which is highlighted with good swimming conditions or a stroll along the beach which is great for shelling and there is plenty of space to relax while you watch the dolphins play offshore in the gulf. There are plenty of places nearby the beach area for food and beverage options as well as rental equipment for the beach and other watersport activities. Other facilities available to the public are restrooms. 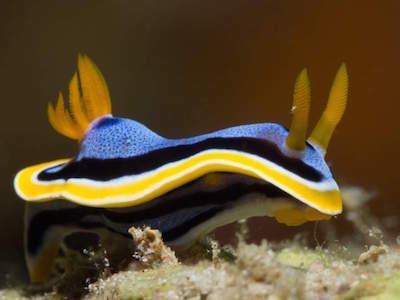 When you are ready for some underwater adventure with a quality scuba diving shop, then the best thing to do in Marco Island is to plan a diving trip with Scuba Marco. Located on the northern end of the island, Scuba Marco has been in operation since 1998 and is a full service PADI 5 Star dive shop. Scuba Marco offers everything from expert instruction to full gear rental to open water certification to numerous guided dives. The dive shop has several unique two tank dive packages that include a near shore dive where you will spend less time in the boat and more time on the bottom exploring depths between 25-45 feet. Middle shore dives are perfect when the water is stirred up a bit and you will travel by boat to clearer water before experiencing dives that range from 40-55 feet. Off shore dives will have a longer run time with the opportunity to view ship wrecks and other unique dive sites like the Blue Hole bottomless wall dive at depths of over 55 feet. Whether you are a novice or expert scuba diver Scuba Marco can plan a dive that is just right for you. 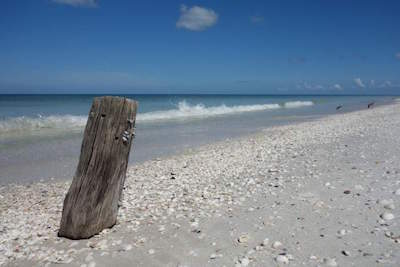 One of the best things to do in Marco Island for people who want to visit a pristine beach area with plenty of amenities, wildlife and solitude is to take a trip to Tigertail Beach Park. Located in Collier County on the northwest shoreline of the island, Tigertail Beach is a 3-mile stretch of white sand that is encompassed by a 32-acre wildlife park. Once you are at Tigertail Beach Park there are plenty of activities to keep you busy like taking a long walk to Sand Dollar Island. The beach park offers plenty of wildlife within the tidal lagoon as well as the inland park portion which is home to hundreds of shorebirds and is considered to be one of the best parts of the Great Florida Birding Trail. The beach area offers plenty of solitude for lounging and you can rent your favorite beach as well as watersport equipment from a kayak to a standup paddleboard to an electric boat at the onsite rental center. The snack shop is open continuously offering libations too. Other facilities include an education kiosk, a children’s playground, restrooms and a butterfly garden.